Pioneer Electronics has released another firmware update for its NEX receivers today. The latest version 1.08 comes a few days after version 1.06 brought Apple CarPlay to their devices. Today's update, however, adds iDatalink Maestro support and has a few bug fixes. To perform the update, you need to follow similar instructions as the previous update. The update files for each of the NEX receivers is separate so make sure you get the correct file. You will need a USB flash drive or a microSD card to install the update, depending on your receiver's model number. We would like to inform you of the availability of a firmware update (version 1.08) related to iDatalink® Maestro™ and Apple CarPlay™ for Pioneer AVIC-8000NEX receivers. This firmware update should be applied only to AVIC-8000NEX units sold in the United States and Canada. Installation on any other product could cause irreversible damage. NOTE: A Lightning™ to USB cable (sold separately) is required to connect the iPhone 6 Plus, iPhone 6, iPhone 5s, iPhone 5c, or iPhone 5 to the Pioneer AVIC-8000NEX to access Apple CarPlay. Note: The above instructions and details are for the Pioneer AVIC-8000NEX. Update details for other NEX receivers are similar. Visit pioneerelectronics.com/firmware. So, if you had skipped the previous update (version 1.06) for some reason, updating your NEX head unit with the latest version 1.08 will add all the features of the previous version like Apple CarPlay. 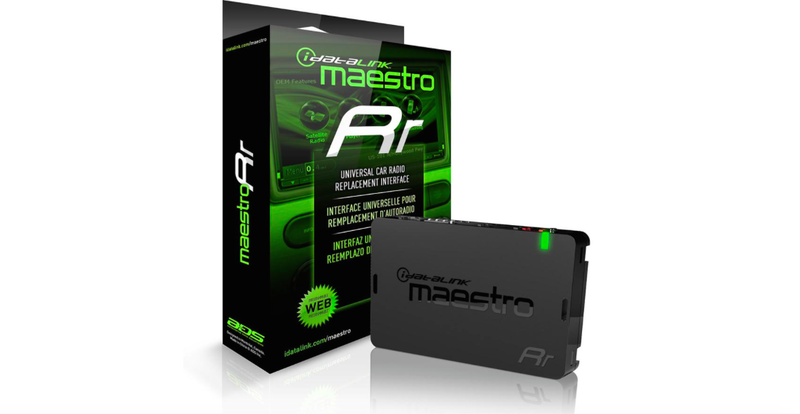 A few details about iDatalink Maestro: The connection protocol allows users to retain your car's OEM functions when used with an aftermarket head unit. Steering wheel controls are the best example. Additionally, an iDatalink Maestro module adds vehicle gauges and allows users to view these gauges on the head unit. Data is obtained from the OBD-II port in the car. Wiring instructions for iDatalink Maestro modules is available from their website for most cars on the road today. For full details on iDatalink Maestro, visit maestro.idatalink.com. I'm sure people have found out by now, but the Nex systems only support the RR Maestro has a steering wheel controller, and on the oft chance a car's stock sat radio unit wasn't part of the stock HU, a possible way to integrate sat radio into the Nex without getting the after market tuner module . Pioneer still hasn't given idatalink the proper hooks into the Nex units to do anything more.